Qing won a gift certificate from Bluewater Travel! The story: Cocos Isand is my dream place of diving. Hammerhead sharks are the star in this area. They are so shy and lovely. I got nothing during the first 4 days of my diving there. The beautiful ocean seemed unreachable, but with great temptation that I cannot resist. I calmed myself down. On the 5th day, I caught the shot of a Tiger Shark in my face. It was a breath taking moment. 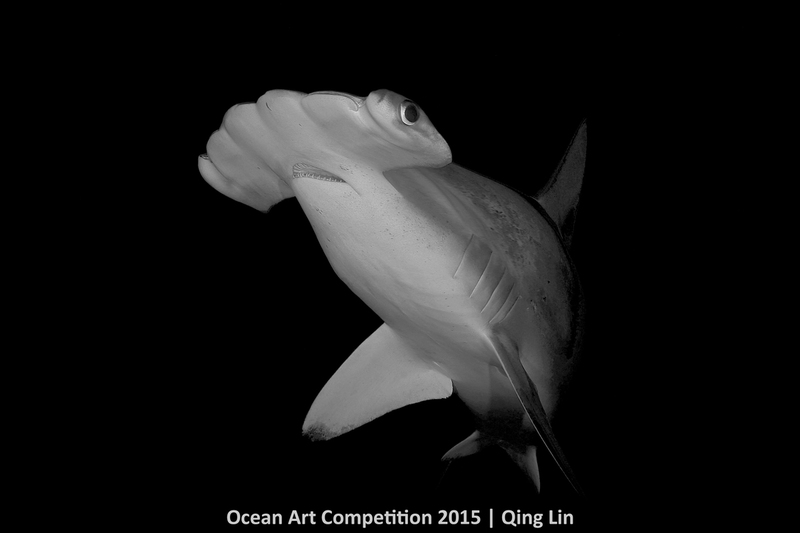 Then, came on my good luck, the hammerhead shark looked like it was ready for my photographing, dancing before my camera. How excited I was when pressing the shutter! Hiding behind rocks and waiting for the hammerhead shark to swim closer is the best way to take a good shot. I saw other divers hurried to pick up the camera when the shark was very nearing. But she was frightened and swam away in no time, even crashing the strobe. I decided to be patient and acted very slowly when she was coming relatively closer. I would rather crop the picture more than take it in a frightening way. All ocean creatures should be respected by every photographer. My underwater photographing experience tells me : Man should respect our Nature with a peaceful mind. Camera: Canon 5D Mark III, Canon EF 16-35mm f/2.8L lens, dual SEA&SEA YS-250 strobes.